Perfect location for an overnight stay between train trips. 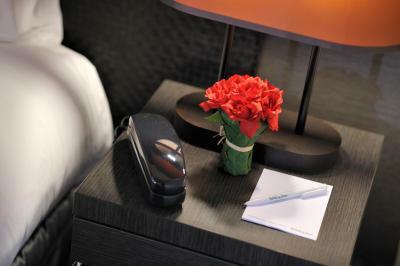 Reliably clean rooms, efficient customer service, reasonable rates - fine for a business trip. 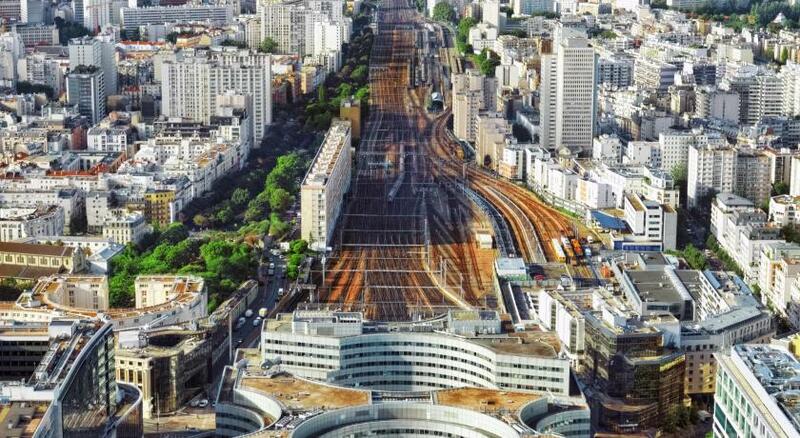 The location was incredibly convenient for travel to and from Gare de Montparnasse. The staff were very friendly and accommodating. The check-in and check-out was efficient. I had no issues with a good night's sleep. location was very good, staff were very welcoming, overall very good. reception personnel were fantastic. i had my wallet stolen just before arriving at the hotel and florian and aurore were outstanding. they were proactive in helping us contact overseas credit card numbers and dealing with the theft. helped to turnaround the day. Very clean and nice easy access to public transport and restaurants around. 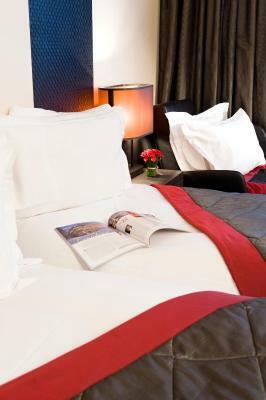 This hotel is located in Paris’s 14th arrondissement just in front of Gaîté Metro station and a 5-minute walk from Montparnasse Train Station. It offers free WiFi access and has a private car park on site. Parking spaces are available upon reservation. 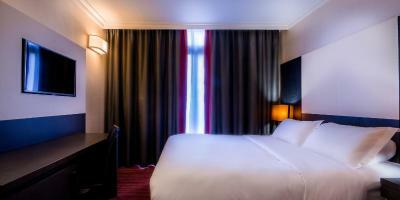 The contemporary rooms at Holiday Inn Paris Gare Montparnasse are air-conditioned and equipped with a flat-screen TV and a mini-bar. 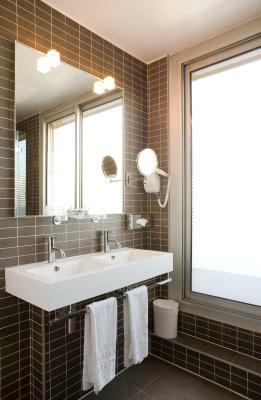 Each has tea and coffee making facilities and a private bathroom. Le Parnasse restaurant serves a buffet breakfast every morning, from fresh French pastries to eggs. 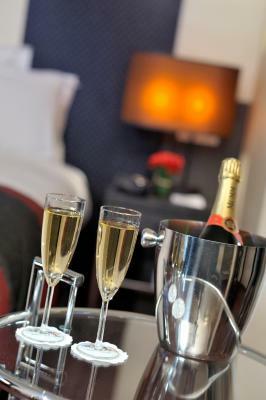 Guests can relax with a drink from The Scarlet Bar on the terrace or in the lobby. 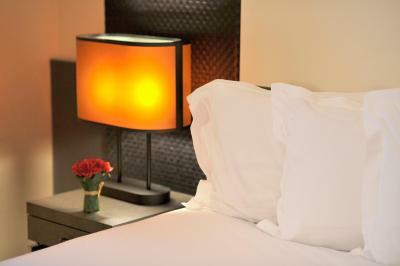 Next to several transport links, the hotel is ideally located for exploring the capital city. 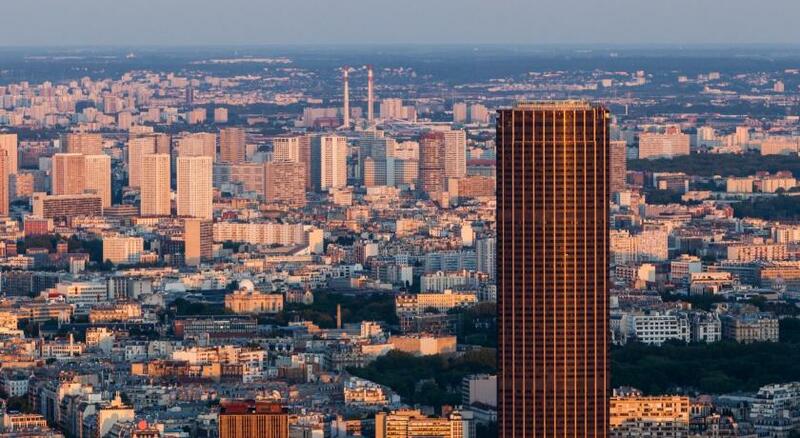 Sights such as Avenue Champs Elysées and Trocadero with the best view of the Eiffel Tower can be accessed directly. 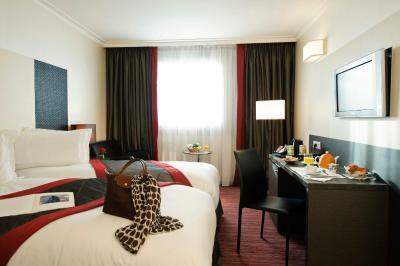 When would you like to stay at Holiday Inn Paris Gare Montparnasse? 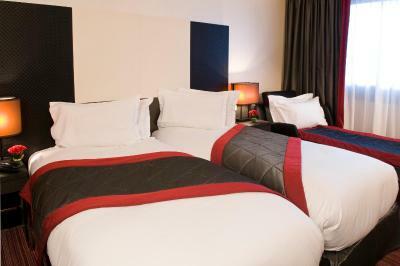 This twin/double room features a satellite TV, electric kettle and mini-bar. 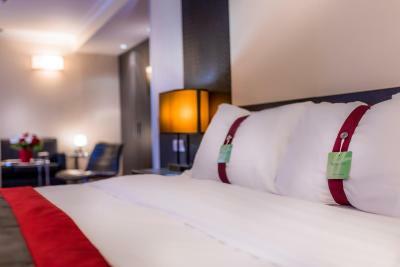 This double room features a cable TV, air conditioning and mini-bar. This suite has a mini-bar, seating area and satellite TV. 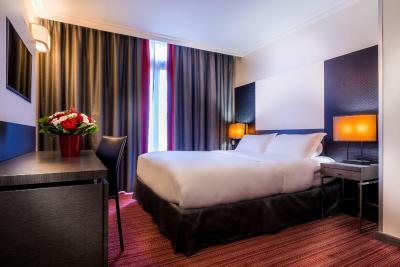 Enjoy excellent transport links at Holiday Inn Paris Gare Montparnasse, a modern hotel on the bustling Left Bank. 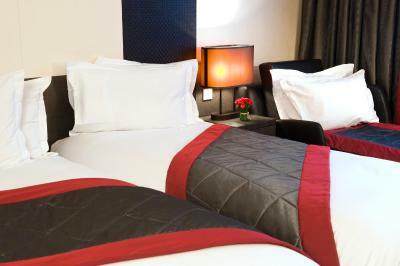 Getting to our centrally located Paris hotel is a breeze. 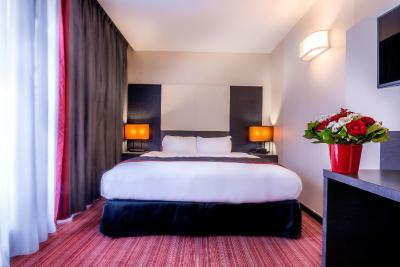 We're just 15km from Paris-Orly Airport and a short drive from the Périphérique ring road. 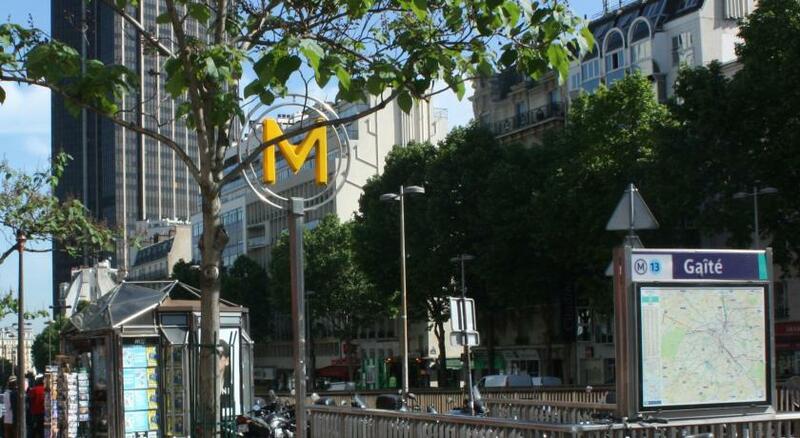 Colourful bars and restaurants in the atmospheric Montparnasse district are just 200 metres from the hotel. Plan your day with complimentary wireless Internet throughout Holiday Inn Paris Gare Montparnasse, and enjoy some time out in our peaceful garden. Do business in one of our 3 modern meeting rooms for 12-35 people, and print reports in the 24-hour Business Centre. 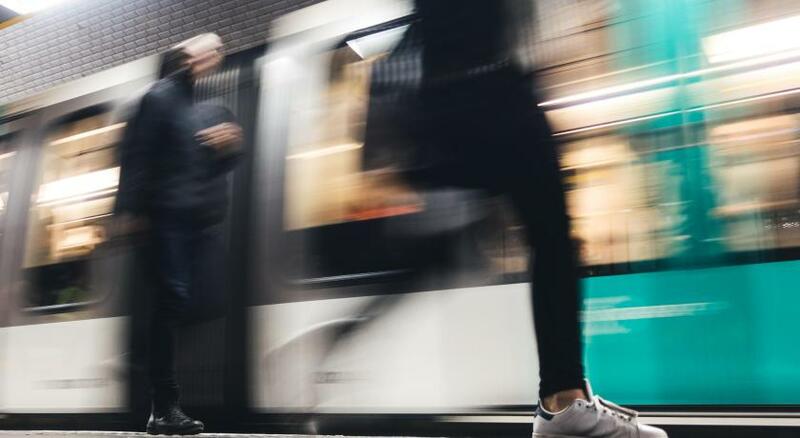 Holiday Inn Paris Gare Montparnasse is a 5-minute walk from Gaîté Metro and Gare Montparnasse, for train and metro services around the city and to conventions at Paris Expo. 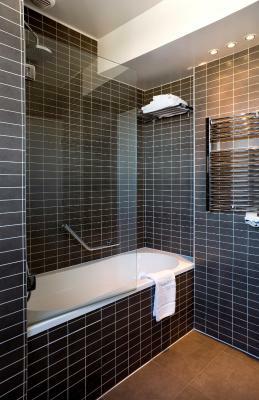 House Rules Holiday Inn Paris Gare Montparnasse takes special requests – add in the next step! Holiday Inn Paris Gare Montparnasse accepts these cards and reserves the right to temporarily hold an amount prior to arrival. Please note that this hotel does not accept payment by check. Extra beds and cribs cannot be accommodated in the Triple Room. 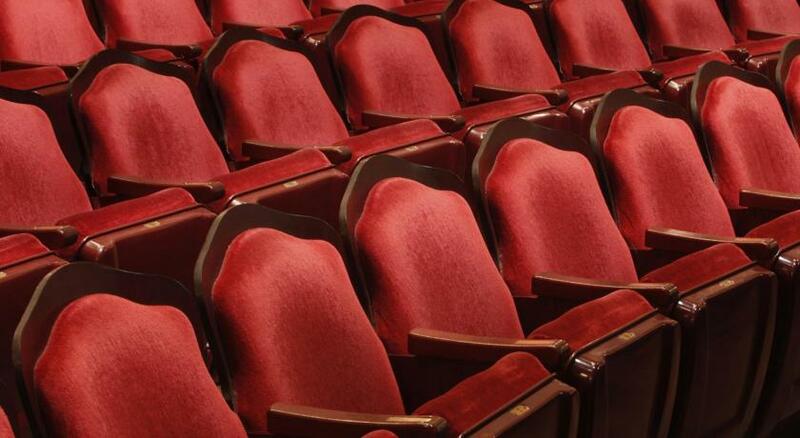 Guests with children must specify the children's ages in the comments box during the reservation process. The bed was not comfortable and neither were the pillows. The hotel also did not replenish my complimentary items. My personal Towel was also taken by housekeeping, even though it looks nothing like the hotel’s towel. I always thought Holiday Inn was one of the better hotel chains. This hotel was a disappointment. The reception area is stylish but the corridors leading to the bedrooms are dingy and the carpets aren't cleaned properly. We were given a key card to one bedroom - opened the door to find someone already in the room. After travelling all day and being really tired - I was told to come back down to reception and get a key to a vacant room. In 2nd room I couldn't work out how to turn the lights on - called down to reception - they had to come up show me - it would have been helpful if I had been given this information prior to going to the room. There was only one card for the door and to operate the lights - I wanted to go out with the key card to let myself in but this meant leaving my mother who I was travelling with sitting in darkness. All in all not a great experience. The only plus is the location - would stay somewhere else next time - there are several other hotels in the area. Our fridge was broken, and there was no interest in repairing or replacing it.